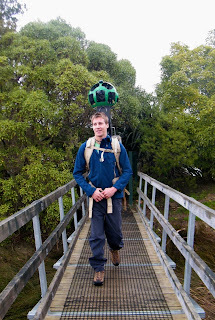 Trekker to New Zealand for the first time today to start capturing Street View imagery of two of New Zealand’s iconic Great Walks: The Abel Tasman and Heaphy Tracks. These two Great Walks are home to some of the most spectacular views in New Zealand, and their remote trails provide an ideal setting for the newest camera system in the Street View fleet. The Trekker — a wearable backpack with a camera system on top — has been specially designed to allow us to visit and photograph places that are only accessible by foot. 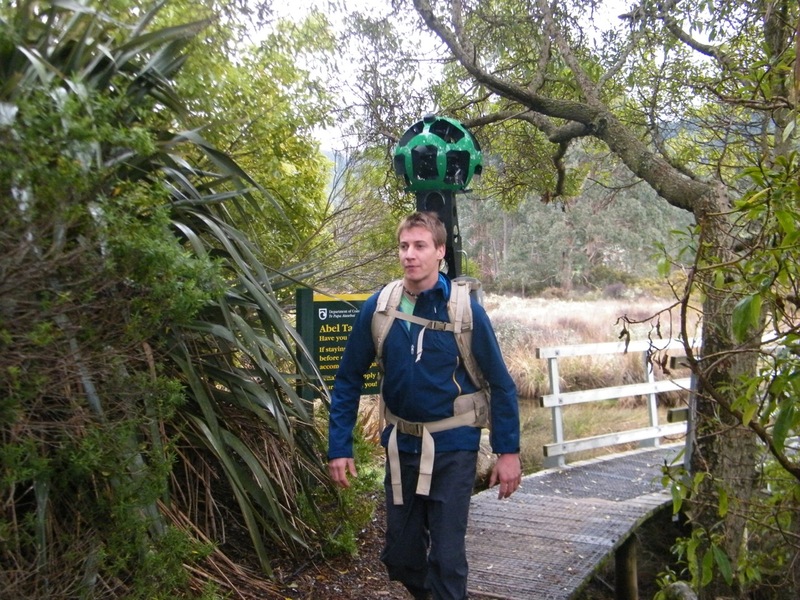 Once this imagery goes live on Google Maps, people from around the world will be able to virtually visit these views from the Abel Tasman National Park and the Kahurangi National Park on South Island right from their phone or computer. The Abel Tasman and Heaphy Tracks span over 130 kilometres and each take about week to complete by skilled, fit trampers. 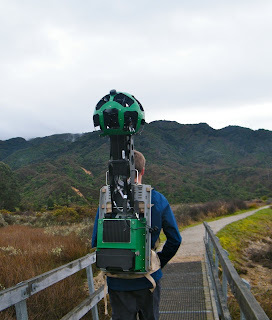 By collecting this imagery for Street View on Google Maps, we hope to help DOC make the trails more easily accessible not only to those trampers preparing for upcoming walks, but also to anyone who wants to virtually roam the beauty of the Great Walks right from their living room. And so with winter on its last legs, off we go! Wish us luck (and some sunshine) as we embark on this new adventure in New Zealand. We can’t wait to bring this new imagery online for you to check out. Together with the Department of Conservation (DOC) we are bringing the Trekker to New Zealand for the first time today to start capturing Street View imagery of two of New Zealand’s iconic Great Walks: The Abel Tasman and Heaphy Tracks.